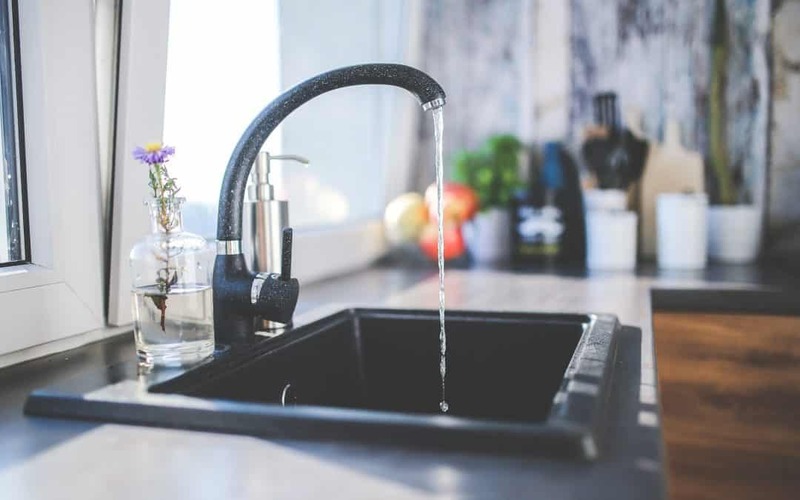 As part of a whole new series, Heating and Plumbers will be helping you as a home owner fix basic issues in your home, this article will be about ways you can fix your kitchen sink! If you find that your kitchen sink drain is blocked, then you can use the below steps to unclog it! Remove any water from the drain, making sure that the drain is completely dry – this is to ensure that the next steps go as smoothly as possible. Dump vinegar and baking soda down the drain – the reason for doing this is that the chemical reaction caused by mixing these can help to dislodge anything that is clogging the drain, you will need about 225g of baking soda along with 250ml of white vinegar for the best effects. You now need to pour boiling water down the drain, I’d suggest filling the kettle as high as possible and setting it to boil, this allows time for the baking soda and vinegar to do their work while also ensuring that you don’t need to use the kitchen sink. once the water is in the sink, grab your plunger, make a seal over the drain, and work the plunger up and down, making sure to be vigorous while not breaking that vital seal. This should be able to clear a lot of clogs, but if not, continue following these steps. Disconnect the drain pipe – this is so we can use a cable auger, this is a tool that extends deep down into the pipe and then retracts to pull out any clogs, be sure to disconnect the drain pipe for the best results. If you find that your drain is leaking, then follow the below steps to fix this! Check the drain pipe connections – this is to be able to see where the leak itself is coming from, if you can’t see it by looking, then press a clean tissue around each water pipe connection while the tap is running, you will very quickly be able to feel where the leak is coming from. If you find that you still cannot find the leak, then it may be the sink strainer that is the culprit! to find this out, full the sink with water, wait a few minutes, and then check the underside of the sink to see if any leaks are happening there. identify the type of sink strainer you use, this can depend on many factors such as the material the sink is made with. try to tighten the sink strainer connectors if you find leaking there, and then see if that has resolved the issue. If the issue is still not resolved, then it is time to purchase a new sink strainer and replace yours, as it is clear that the one you have is faulty and needs replacing. So now you know how to fix some issues in your kitchen sink! If this has not helped or you are stuck, then feel free to give me a call on 01255 722 542 or email me on info@heatingandplumbers.com and we will fix your kitchen sink as soon as possible!